It is with regret and sorrow that we announce the death of Joe T. Boyd, Flower City Nursery, McMinnville, TN, who died Thursday, February 12, 2015, at Vanderbilt Medical Center in Nashville. Joseph Tallman Boyd, Jr. (Joe T.) was born May 24, 1931. He was a son of Sara Ramsey and Tallman Boyd. He was preceded in death by his parents, sister Martha Boyd Barnes and brother Thomas Ramsey Boyd. He was a fourth generation nurseryman and received an honorary lifetime membership in the Southern Nursery Association and Tennessee Nursery & Landscape Association. He was owner of Flower City Nursery. He served as a commissioner with West Warren Viola Utility District and served as chairman for a number of years. He was a volunteer fireman and worked to establish the Smartt Fire Station that became part of Morrison Fire Department. He served four years in the United States Air Force. He was a member of United Methodist Church. Survivors include his wife of 62 years Mary Jo Boyd, two sons Charles Tallman Boyd (Deborah) of Manchester, TN and William “Bill” Joseph Boyd (Neva) of Smartt, TN, two daughters Mary Kate Boyd of Smartt, TN and Eleanor Clay Bryan (Steve) of Morrison, TN, sisters-in-law Charlene Hart (Walt) of Denver, Colorado, Kathy Boyd of McMinnville, TN, six grandchildren Natalia Hope Boyd and Natalie Faith Boyd both of McMinnville, TN, Stevie Elizabeth Bryan of Knoxville, TN, Tallman Boyd of Chapel Hill, North Carolina, Harrison Boyd of Chattanooga, TN, and Jimmy Joe Bryan of Morrison, TN. Three nieces, a nephew, uncle Herbert P. Boyd and aunt Mrs. F. C. Boyd, Jr. also survive. Services will be held Sunday, February 15th at 2:00 PM at the McMinnville Funeral Home Chapel. The Rev. Thomas Hart of Star, South Carolina and Larry Boyd will be officiating. Burial will follow at Gardens of Memory Cemetery. Visitation will be from 3 PM until 8 PM Saturday and again from 12:00 noon until the time of service at 2 PM Sunday at the parlors of McMinnville Funeral Home. Memorial donations may be made to Tennessee Nursery & Landscape Association Memorial Scholarship Fund, Meals on Wheels, or to the Morrison Fire Department. Online condolences may be made at www.mcminnvillefuneralhome.com. Home Depot. Target. Sony. It seems data breaches are on the rise and the most recent hack into Anthem's computer network may have compromised as many as 80 million customers. It appears credit card or medical information was not the target, and names, birthdays, social security numbers, street addresses and employment information (including income data) were obtained. Anthem is the country's second largest health insurance company and the parent company of Blue Cross Blue Shield, Amerigroup, Caremore, Unicare, Healthlink and DeCare. The company is still trying to determine how many customers may have been affected and will offer credit monitoring and identify protection services free of charge. This news comes as Intuit's TurboTax, the nation's largest seller of tax preparation software, announced Friday that it would begin accepting electronic submission of state tax returns after taking a 24-hour pause to beef up security measures due to reports of taxpayers in a number of states logging in to submit their state tax returns to discover that some had stolen their identity and already filed in their name. It is reported that a third-party security expert found the fraudulent activity did not result from a breach of Intuit's system. The company says the information used to file fraudulent returns was obtained from other sources outside the tax preparation process. There have been no reports of federal filings being affected. Both the IRS and states have sophisticated software to detect and prevent identify theft, but it seems no system is perfect. With people on edge, due to all of the recent data breaches and fears of fraud, this is a prime time for scammers using "phishing" emails to trick consumers into sharing personal data. These "fake" emails appears to be from a legitimate company asking their customers to log into their accounts to verify or update your information to protect their data or often offering free credit monitoring services by clicking on a link that asks for personal data. Phishing comes in a variety of forms such as "Immediate Action Needed", "Update Notification", etc. Since companies do send out legitimate emails to their customers for these purposes it's often hard to decipher what is legitimate and what is a scam. Virtually everything is electronic these days and cybersecurity has become a massive issue. Lawmakers are currently debating legislation to require companies to notify customers within a set time period when their information has been exposed through a breach in security. The legislation would also create nationwide data security standards. The effort to pass a federal data breach bill has received more momentum with recent high-profile data breaches at companies like Home Depot and Target. And, the recent cyberattack on Sony Pictures Entertainment has certainly brought more attention to this issue. Even President Obama, in his State of the Union address, has called for a uniform national data breach notification standard. This should certainly be a top priority for our new Congress. While notification laws deal with what happens after a data breach, the National Retail Federation (NFR) has has been working on a range of proposals intended to improve credit and debit card security and avoid breaches. NRF has insisted that new credit cards being issued this year should require use of a secret personal identification number in addition to a computer microchip, and supports other options including retailers storing only authentication codes rather than card numbers. With potentially 80 million Anthem customers affected in a country with a population of 318 million, 25% of Americans may have been exposed in this most recent hack. Now is the perfect time to take a look at your company's exposure. During the recent membership meeting at the Gulf States Horticulture Expo in Mobile, James Harwell, Alabama Nursery & Landscape Association's executive director for the last 10 years, officially announced his retirement effective in early 2016. James has devoted many years to our industry, and to the association specifically. He has served humbly and willingly for many years, and not just as executive director. His leadership and hard work has advanced the industry in Alabama more than will be realized for a long time. James and his wife Libby will both be missed as they begin to slow down and enjoy retirement. This will be a slow and deliberate process that the Board will monitor closely. Should you have any questions, please feel free to contact one of the Search Committee members or any of the Board of Directors. To view the Job Announcement and Employment Application, CLICK HERE. Greensboro, NC – January 8, 2015 – The North Carolina Nursery & Landscape Association (NCNLA) has announced the winners of its 2014 Excellence in Landscape Awards. Five green industry businesses were honored earlier this month at NCNLA’s annual Green & Growin’ Trade Show. NCNLA’s Excellence in the Landscape Awards reflect a company’s commitment to promote high standards of quality landscape design, installation and maintenance. The program recognizes and awards landscape professionals who execute quality and sustainable landscape projects. In sponsoring the awards program, NCNLA is striving to increase the public’s awareness of environmental improvement through landscape contractors’ cognizance and commitment to excellence and sustainability. The award categories are the following: Landscape Management, Landscape Installation, Design/Build, Sustainable Landscape, Ecological Plantings, and Container Plantings. The following are winners of the 2014 Excellence in Landscape Awards. The North Carolina Nursery and Landscape Association (NCNLA) represents growers, landscapers, retail garden centers, suppliers, horticulture students and educators. NCNLA’s ultimate goal is to benefit its members’ economic, professional and personal growth. More information about NCNLA can be found at www.ncnla.com. For more information on the Excellence in Landscape Awards and how to enter for 2015, please visit www.ncnla.com/excellence-in-landscape. The EPA is registering a new insecticide, flupyradifurone, that is safer for bees. It is expected to be an alternative to more toxic products including certain pyrethroid, neonicotinoid, organophosphate and avermectin insecticides. As an insecticide, flupyradifurone is unusual in that laboratory-based studies indicate that the compound is practically non-toxic to adult honeybees. Studies show no adverse effect on overall bee colony performance or overwintering ability when compared to untreated colonies. EPA’s decision meets the rigorous Food Quality Protection Act standard of "reasonable certainty of no harm" to human health. On the basis of protective and conservative human health and ecological risk assessments for the uses of the pesticide, EPA confirmed the safety of the use for the public, agricultural workers and wildlife. EPA coordinated its evaluation with our counterparts in Canada and Australia. This decision was one of the first to incorporate newly-required bee studies and involved evaluating the largest number of bee-related studies ever for the registration of a new chemical. EPA reviewed 437 studies including 38 different tests on bees to analyze the potential exposure and effects of flupyradifurone. These included evaluation of the sublethal effects of pesticides on all life stages of bees, as well as effects on colony health in field studies. The field studies examined pollinator-attractive crops while bees were actively foraging after the crops had been treated through various application methods (seed, soil and foliar) to demonstrate very high exposure. Flupyradifurone is registered for a large number of crops such as citrus, cotton, potatoes and many others to protect against piercing and sucking insects such as aphids, whiteflies, thrips, and pysllids, all of which have become increasingly resistant to other pesticides and are difficult to control. The registration of flupyradifurone will provide growers across the U.S. with a new pest resistance management tool that presents an effective countermeasure to resistance development. No residential uses have been proposed. More information on this regulatory action can be found at www.regulations.gov, Docket ID: EPA-HQ-OPP-2013-0226-0044. 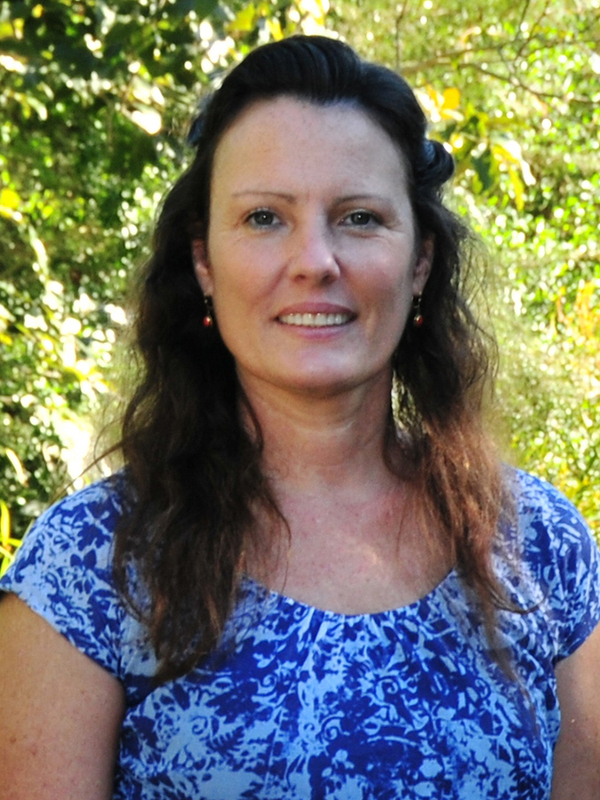 The University of Florida’s Institute of Food and Agricultural Sciences has recently named SNA member and researcher Sandy Wilson interim chair of the Environmental Horticulture Department. Following is a commentary by IFAS leader Jack Payne about his decision to hire Wilson for this important job. UF/IFAS has 14 academic departments and two schools, so I spend a lot of time finding the right people to lead them. Finding a new chair for the Department of Environmental Horticulture was easy, because I already employed an ideal candidate in Ft. Pierce. Sandy Wilson has done outstanding research and teaching, she has boundless enthusiasm, and she has what it takes to lead. Dr. Wilson is known for her work on the invasive potential of ornamental species. Because I’m the senior vice president of agriculture and natural resources at UF, that’s exactly the kind of work I believe is so crucial for Florida. We must help industry identify opportunities for profit while protecting natural resources that help make Florida such a great place to live – and to visit. She’s also an expert ornamental propaGator (our UF computers automatically capitalize Gator in any context! ), an active participant in industry events, and what I call a Friend of Ben – someone who has built a strong relationship with Ben Bolusky, CEO of the Florida Nursery, Growers and Landscape Association. Her dedication to the land-grant mission of research, Extension and teaching make her a valuable asset to IFAS and to stakeholders. More attention to garnering national awards for our students and faculty. Efforts to increase undergraduate and graduate student enrollment – including at the Gulf Coast Research & Education Center’s Plant City campus. Advocacy for more resources so the department can do more for the industry. She began talking about the need for more faculty to complement the 30-member department before she even moved to Gainesville! A continued commitment to solid science. Leadership involvement in the industry. She was the most recent guest speaker at the FNGLA Frontrunner Chapter meeting, introduced herself to a number of the industry vendors at the recent FNGLA Landscape show in Orlando, and is looking forward to attending the Tropical Plant Industry Exhibition in January. She’ll continue to serve on the board of the American Society for Horticultural Science as vice president of education and is an active member of the International Plant Propagation Society, in addition to a number of other plant organizations. It’s important for us to have someone like Sandy who has cultivated strong ties with FNGLA. Industry input helps keep our research relevant. Her hire also demonstrates our gratitude for industry support in the form of research funding, scholarships, letters of support for grant applications and use of nursery lands for demonstration projects. Although Sandy is more noted for building a large teaching botanical garden at the Indian River Research and Education Center, her yard in her home in Ft. Pierce contains a diverse mixture of leftovers from student projects: firebush, Simpson’s stopper and wild coffee. Please welcome Sandy. She can be reached on her mobile phone at 772-834-7619 or by email at sbwilson@ufl.edu. The department website is http://hort.ifas.ufl.edu/. Today’s Garden Center recently released The Revolutionary 100 Garden Center List. The program, which began in 2006, surveys garden center owners and managers, throughout the country, on how they manage their businesses. The competition, open to all local garden centers, is on financial performance, management styles, merchandising, marketing, and any other areas that determine if a garden store thrives. SNA members Johnson Nursery and Garden Center, Cookeville, TN and Ooltewah Nursery & Landscape Co., Ooltewah,TN made the list of revolutionary garden centers in the Southeast. Johnson Nursery and Garden Center has been in business for 44 years, has one location with 5 acres in retail and 3 acres in growing. They were chosen because, "We are always trying to find the newest plants from the breeders. "We usually are one or two years ahead of mass production of new plants, and this gives us time to grow some for trial. We can give our customers a better recommendation on the new plants after we see how well it performs in our climate zone." For more information on Johnson Nursery and Garden Center visit their website. Ooltewah Nursery & Landscape Company has been in business 26 years, has one location with 8 acres in retail and 1/2 acre in growing. They were chosen for their hanging garden built and installed at the front of the new 2,500 square foot flower pavilion (a 2012 building project). The garden is designed to frame and beautify the portico and draw attention with vertical wow factor. For more details on this project CLICK HERE. Or visit their website. White's Nursery & Greenhouses has been in business 28 years with one location, 25,000 square feet of retail space and 40 acres of growing. They were chosen for their fresh, high-quality product and excellent customer service. "We are unique in that we have 40 acres of product growing here on our farm that supports our retail store. Being able to provide fresh, high-quality product at a value is definitely a customer draw. Mr. White is always trialing new products and we are able to get it out to our customers through our retail for them to have a “one of a kind” plant!" In addition, they increased their center's profitability by going up in prices to obtain a 55 percent margin average on sales. They purchased a few new displays and built some new structures in our nursery (tree, shrub and perennial) division to enhance traffic flow and displays. For more information on Today's Garden Center Revolutionary 100 Garden Center and a complete list of the 2015 winners CLICK HERE. Dan Bremer, President of AgWorks, Inc. and its H2 consulting affiliate, has announced changes to accompany increased use of the federal H-2A guestworker program. The H-2A program is the legal way agricultural employers fill seasonal positions when sufficient U.S. workers can’t be found. While H-2A visas are limited to temporary or seasonal jobs, H-2A workers can be readmitted to work for the same employer year after year. Employment terms and conditions are regulated by the U.S. Department of Labor. Worker admissions are regulated by Homeland Security and the Department of State. Mr. Bremer spent more than twenty years in senior leadership roles with the U.S. Department of Labor and founded AgWorks to ensure that clients receive maximum benefit from the program while minimizing potential liabilities. AgWorks provides consulting services to H-2A employers in twenty states and, measured by number of seasonal guest workers employed by its clients, is the largest such firm in the U.S. Overall the H-2A program grew by 16% in fiscal year 2013 and 18% in fiscal year 2014. Mr. Bremer believes that the future of the H-2A program will include continued growth and increased need for highly skilled representation of agricultural employer interests. AgWorks investment in that future includes the recent addition of Mrs. Merritt Myers Wall as Vice President – Industry Outreach and Government Relations. Mrs. Wall’s fourteen year career in federal government includes work with both U.S. Senator Zell Miller and U.S. Representative Jack Kingston. She was principal policy and legislative adviser to the Senator during his tenure on the Agriculture Committee and was Legislative Director, Field Representative, Agricultural Liaison and District Director for Congressman Kingston. Mrs. Wall joins Mr. Bremer, long time Vice Presidents Ms. Patricia Hall and Mrs. Ellen Hendley, and other professional and administrative staff at AgWorks’ headquarters in Lake Park, Georgia. For more information, please contact H2Leadership@AgWorksH2.com. For a photo and more info CLICK HERE. We are saddened with the news that SNA Past President Larry David Edwards (71) passed away yesterday due to complications of a stroke he suffered two weeks ago. David, his son, said he passed away peacefully and for that the family is thankful. A celebration of his life will be at The Holden Beach Chapel conducted by Dr. John Gray on Wednesday, December 17, 2014 at 2:30 PM preceded by visitation from 1:00 to 2:00 in the Fellowship Hall. A memorial service will be held on Friday December 19, 2014 at 1:00 PM preceded with visitation 10:30 to 12:30 at Coddle Creek ARP Church in Mooresville conducted by Rev. James Hunt. A family burial will be in High Point, NC. Funeral arrangements are being handled by White Funeral Service in Shallotte, NC; Cook-Cavin Funeral Home in Mooresville, NC; and Cumby Family Funeral Service in High Point, NC. Larry David Edwards was born June 1, 1943 to Wilbur and Edna Edwards of Fayetteville, NC. Larry attended Fayetteville High School and graduated from UNC Chapel Hill where he was on the golf team and a big basketball fan. From 1967 to 1970, he was a math teacher at North Mecklenburg High School. Larry and his family founded and have operated Turtle Creek Nursery outside of Davidson for over 40 years. Many organizations have benefited from his leadership including Southern Nursery Association (Pres. 1993), North Carolina Nursery and Landscape Assoc. (Pres. 1986) and Trustee of The Holden Beach Chapel. He was a member of The First Baptist Church of Huntersville, NC and The Holden Beach Interdenominational Chapel. 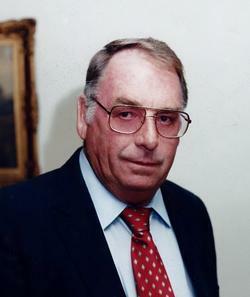 Larry served on the SNA Board of Directors from 1989 - 1994, serving as president in 1993. During his administration, he set the goal to increase membership and placed emphasis on marketing by gearing programs to the retailer. He also challenged the board and staff to closely watch expenses and be more conservative, and there were many in-depth discussions on the finances of SNA. Larry brought several ideas to the table for cutting expenses and how generate additional income. A major milestone of the Edwards administration was SNA’s agreement to co-sponsor the annual Southern Plant Conference along with the state association where the Conference was to be held. Larry also served five years on the Sidney B. Meadows Scholarship Endowment Fund Board of Directors (1993 - 1997). During the six years he served on the SNA board Larry always had the best interest of SNA at heart. We are thankful for his service, his dedication, leadership, insight, and the many words of wisdom he (and Jane) so freely gave to the SNA. He touched the lives of many with his warm and caring personality and he will be missed by all that knew him. His term as SNA president is highlighted in The History of the Southern Nursery Association, pages 87-88. This 100th anniversary publication can be found on the SNA website. CLICK HERE. Larry is predeceased by his parents, Wilbur and Edna Edwards, and his brother, Joseph Edwards of Fayetteville. He is survived by his wife of 48 years Jane Webb Edwards, son L. David Edwards, Jr. his wife Jennifer, and daughter Mary Ann Edwards all of Davidson. Larry loved his three granddaughters: Sydney, Ashley, and Madison Edwards who all gave him great joy and happiness. He also leaves 5 sisters-in-law Janice Webb Ayers (Bob), Dottie Webb Keever (Jim), Fran Webb White (Lathe), Jackie Webb Lewis (Cal), Mary Webb Marsteller (Doug), and brother-in-law Jim Webb (Marge) and 18 nieces and nephews. Larry loved the beauty of nature and growing things. He shared this love and his beautiful plants with many individuals, churches and facilities throughout his life. He was happiest caring for his nursery, his yards and others’ gardens that he blessed with his plants and care. He leaves much beauty for his family to enjoy. An online obituary and guest book can be viewed at Legacy.com. To view the obituary and/or sign the guest book CLICK HERE. Memorial contributions may be made to Webb Heart Pillows, High Point Regional Hospital, PO Box HP5, High Point, NC 27261 or to the Sidney B. Meadows Scholarship Endowment Fund, a 501 (c) 3 non-profit organization providing horticultural scholarships across the Southeast, and contributions are tax deductible as charitable contributions. For more information contact the Sidney B. Meadows Scholarship Endowment Fund, P.O. Box 801513, Acworth, GA 30101, 678-813-1880, info@sabmsef.org, www.sbmsef.org.